Mark Your Calendars and Start Dreaming of Fun on the Shores of Sylvan Lake! Guiding Mosaic 2016 will be held from Saturday July 9 to Sunday, July 17 at Camp Woods in Alberta. This is the 13th Girl Guides of Canada national camp to be held since 1927 and will celebrate Guiding and the tradition of camping within our organization. National camp is a unique and exciting opportunity that is open to members of Girl Guides of Canada and to the 144 countries who are members of the World Association of Girl Guides and Girl Scouts (WAGGGS). 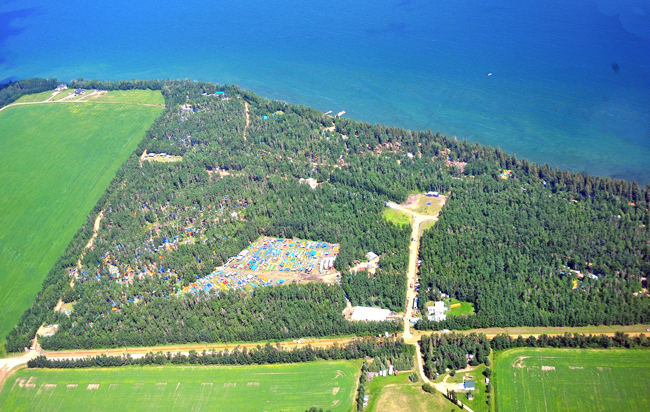 Camp Woods is a 42.5 hectares camp site in scenic Alberta on freshwater Sylvan Lake. The waterfront offers excellent opportunities for swimming and water activities, including canoeing, kayaking, and sailing. The surrounding area boosts many possibilities for offsite excursions to experience Canadian heritage. To see more pictures of Camp Woods, please visit our Guiding Mosaic website. This entry was posted in Camping & Outdoors and tagged Guiding Mosaic. Bookmark the permalink.